24 HOUR LOCKSMITH SERVICE - NEED A LOCKSMITH IN MADISON? WE'RE HERE FOR YOU! Have you locked the keys inside your car or truck? Well, here in Madison AL we just might be your best option for local locksmith service. Our technicians arrive quickly and use the safest tools available to unlock your vehicles door. Quickly and carefully. That's how we do it. No need for scratches and dents, or worse, broken glass. Don't cause expensive damages trying to save a few bucks with a coat hanger! You might think you are the first person to lock their keys inside the house, while dinner is cooking, in their underwear. Unfortunately you would be incorrect. 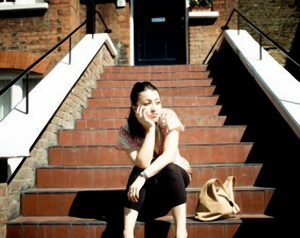 We've seen quite a few interesting cases where people have become locked out of the house. Fear not. We don't judge! We will arrive fast and get your door open before your neighbor can post embarrassing photos on Instagram! Low prices & professional service. Trust Unlock it For Me if you need locks picked to unlock your home in an emergency situation. JUST MOVING IN? WE WILL RE KEY YOUR LOCKS TO ENSURE ONLY YOU HAVE THE KEY TO YOUR HOME. If you are just moving into a new home in Madison Alabama and you want to have your locks re keyed, you are in the right place. Unlock it For Me employs professional, licensed Alabama locksmiths who live right here in the Huntsville Area. We will come out to your location and reconfigure your locks so that the old key no longer works, locking out would be intruders. Then we provide you with a new set of freshly cut keys, as many as you would like. If your vehicle was made between 1999 and 2019 we can provide you with a new set of keys should all keys become lost. If you just need a spare we can take care of that too. Our car key replacement service comes directly to your location in Madison. No need to have the vehicle towed to the dealership in Huntsville or farther. We will cut and program a new set of transponder keys on the spot. If your vehicle is one of the newer style which have gone "keyless" with proximity keys and push button start, that's quite alright! 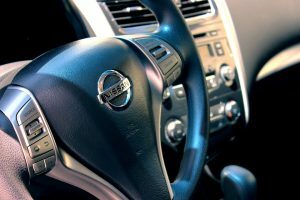 We can still program keys and fobs to cars and trucks that don't have traditional metal keys. UnlockItForMe can most certainly unlock your car door in Madison Alabama. If you have locked the keys inside your house, we are glad to help with that too. Did you know our locksmith services don't stop there? That's right! Our team of locksmiths is diverse in their training. 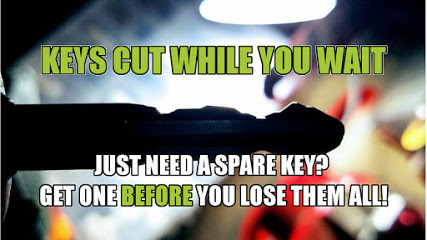 Locksmiths can cut a spare key to your car. Even if you have lost all keys. Our locksmiths come out and cut and program new transponder keys. 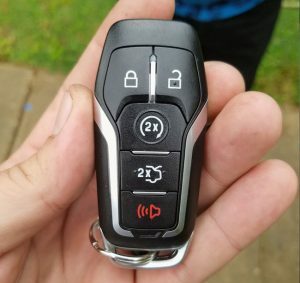 Smart keys? You bet. UnlockItForMe can handle a variety of home and auto key situations. Give us a call to discuss your locksmith needs today. At any location, no matter the weather. Locksmith service at your fingertips. Keys locked in the car at Mapco or flushed down the toilet somewhere in Madison Alabama. We can re-key the locks on your business or storefront. UnlockItForMe's team of locksmiths installs new lock sets. High-security locks are available for sale. Not all items in stock at all times at all locations. Give us a call to discuss your needs today. Secure your home or business facility with our team of professionals. We've got you covered for lock and key needs in Madison. We are licensed and insured Alabama locksmiths. Beware of locksmith scams in Alabama and surrounding areas. Bait and switch locksmiths offer a low "show up" price such as $20, once they arrive they increase the price to $100 or more because ~insert reason here~ don't be fooled! 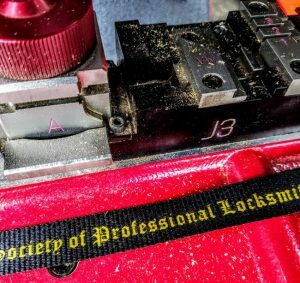 ALABAMA REQUIRES LOCKSMITHS TO BE LICENSED. DON'T BE TRICKED. When calling locksmiths on the phone, ask if they are currently licensed with the Alabama Electronic Security Board of Licensure. If they arrive at your residential or business location, ask to see their identification badge issued through the Electronic Security Board. It is ill-advised to allow any unlicensed locksmiths or security personnel on your property unless they are currently licensed. Where in the state are they located? Give the exact make and model of your vehicle and ask for as firm a quote as possible for unlock services. Is there a trip charge for the service? When a locksmith is on site, ask for the amount to be charged BEFORE service is rendered. If the above charge is higher than the initially quoted amount, ask what, if any, charge will be assessed if services are refused. The Alabama Electronic Security Board of Licensure recommends that you plan ahead and find a local licensed locksmith in your area to call in the event of a lockout. Save their information in your phone for quick access. All licensed locksmiths can be found on our website under the tab for Licensees. Not all locksmiths listed online are actually in your area. Not all locksmiths listed online are licensed through the State of Alabama. Not all locksmiths listed online will charge the quoted amount when they are on site. UnlockItForMe is licensed & Insured. We are local to the Madison area. We are licensed by the AESBL. The price you are quoted is the price you pay on the phone. UnlockItForMe does not participate in any form of bait and switch scams. Our locksmiths are honest and professional. Call for a free quote. You will not be charged for any work we do not complete and we will not inflate prices on basic services such as lock picking. Council for Home Safety and Security. Madison is a town located primarily in Madison County, close to the northern border of the territory of Alabama. It extends toward the west into the nearby Limestone County. The town is one out of the 20 states where Census County Division (CCDs) is used for the arithmetical hound of subsections within each county. The first person to reside in the city of Madison Alabama was John Cartwright in the year 1818. The town of Madison is positioned within Division of Madison province. It is the biggest town in Alabama when compared with the cities and towns in the Alabama metropolis. It has an estimated population of about 47,725 as of July 1, 2017. Madison ranks in the higher quartile for Density and Diversity index. The town covers a land area of 29.61 sq. miles and a water area of 0.13 sq. miles. The municipality of Madison is built-in in the Huntsville city Area, the second-largest in the state, and is furthermore incorporated in the merged Huntsville-Decatur mutual statistical Area. The town is enclosed by Huntsville on all sides. according to the Madison Chamber of Commerce. The city is famous for it’s the high- tech and scholarly positions in the city which have attracted so many respected educated residents. Madison has breathtaking mountains and scenic waterfalls, which also attract so many tourists to the state, either for sightseeing or for an academic field trip. Because of great features possessed by Madison, a lot of people seem to move to this city to get better livelihood. Alabama's gorgeous antebellum homes will undeniably take you back in time. As it has its record of her greatness from the time it was created. 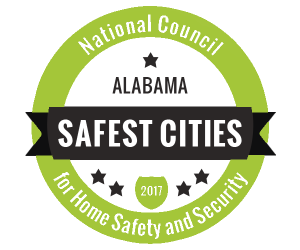 The city was named as one of the most secured cities in Alabama by the National Council for Home Safety and Security.